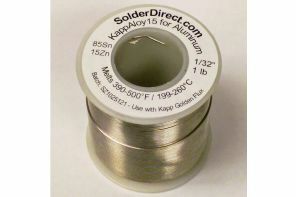 KappAloy15™ is a soft Tin-Zinc solder that provides more flexibility when hand soldering Aluminum to Aluminum, Aluminum to Brass, and Aluminum to Copper. 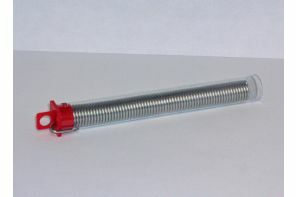 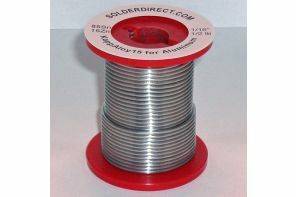 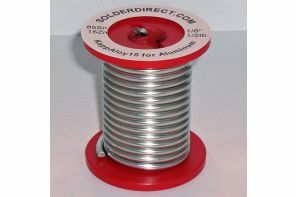 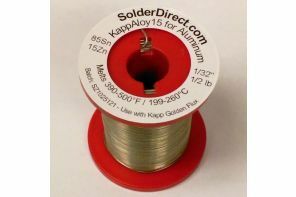 This solder gives you a slushy range of 390-500°F (199-260°C) to manipulate your parts before it solidifies completely during cooling, making it ideal for hand soldering Aluminum plates and parts. 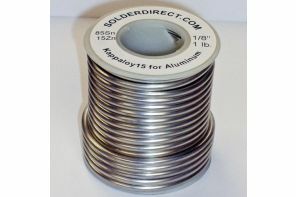 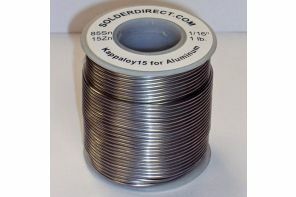 KappAloy15™ is used less often in electrical connections in order to minimize the heating of electrical/electronic parts and adjacent components.